Brutalist One Pager for themtyp.es – a curated collection of contemporary typefaces. 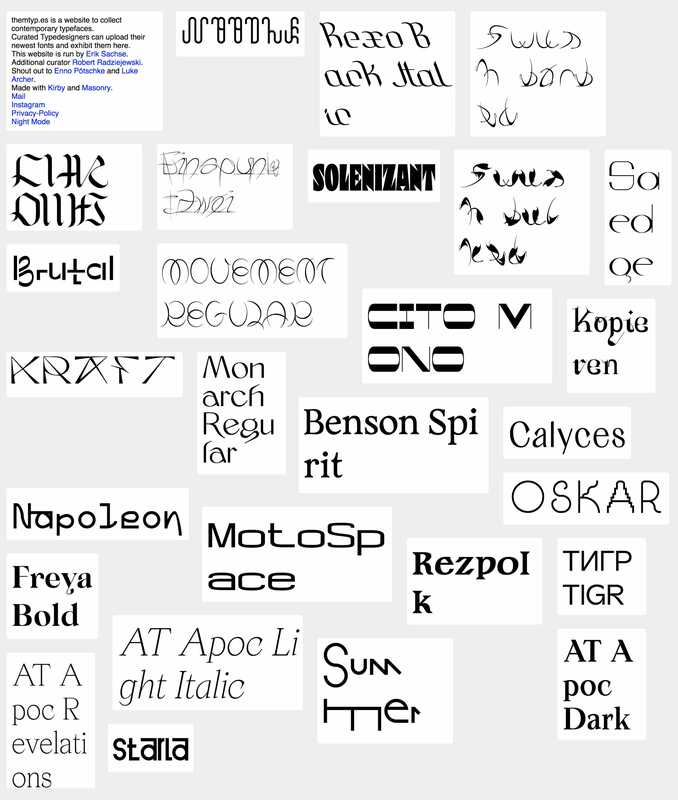 Curated Typedesigners can upload their newest fonts and exhibit them here. This website is run by Erik Sachse. Additional curator Robert Radziejewski.